TripAdvisor’s “Top Destination in Asia” award was presented to Hanoi , Ho Chi Minh City , Hoi An and Ha Long of Vietnam at a ceremony held in Singapore on June 18. Of the Top 25 Destinations in Asia, Hanoi ranks 14th; Ho Chi Minh City, 15th; Hoi An in central Quang Nam province, 17th; and Ha Long in northern Quang Ninh province, 25th. 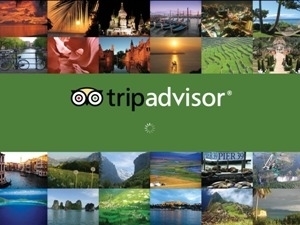 At the award ceremony, Robin Ingle, Senior Vice President of TripAdvisor, the world’s largest travel site, told Vietnam News Agency’s Singapore-based reporter that having four winners in the top 25 is extremely impressive. “Vietnam’s tourism industry is now appealing very broadly to global travellers and it is doing a phenomenal job,” she said. It describes Ho Chi Minh City as “Vietnam’s bustling largest city sets the cultural and economic pace for the country”; and Hoi An as “the city on the central Vietnamese coast is a well-preserved example of the important Southeast Asian trading port it was from the 15th-19th centuries”. It encourages travellers to visit Ha Long Bay “for an up-close look at its amazing limestone islands, rock formations and caves”. Maria Pilar Bosch Jorda, a Spanish, told VNA’s reporter that she will fly to Ha Long Bay this Friday. She added: “All my friends have been in Ha Long Bay and Hanoi and they all told me that it’s so amazing to go there and even if (the trip) is short you need to go there now”. The fifth annual awards recognises 412 outstanding destinations in 38 markets across the globe, including those of Africa, Asia, Australia, the Caribbean, Central America, China, Europe, India, Mexico, the Middle East, South America, the South Pacific, and the United States.